The cook-off competition for the 12 finalist chefs takes place Monday, December 6, 2010 and consists of three rounds with different chefs competing in each round. 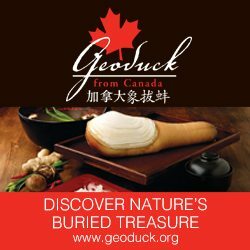 Each finalist will prepare two separate dishes, each one featuring one of the three mandatory local ingredient categories: Geoduck, Wingtat Free Run Chicken and Tofu. The winner will be chosen by a panel four distinguished chefs headed by Judging Panel Chair Chef Stephen Wong and including: Chef Tony Kam (Hong Kong Canada Chinese Chefs Association), Conrad Leung (Head of Asian Culinary Department at Vancouver Community College), Chef Robert Wong. 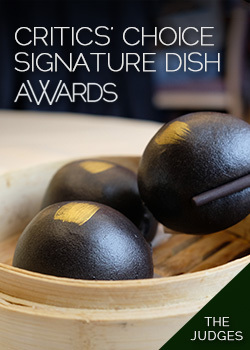 The successful contestant will be announced by news release following the event and receive their award at the 2011 HSBC Chinese Restaurant Awards ceremony on January 18, 2011. 1989 Chief Chef, Sun Tung Lok, San Francisco, U.S.